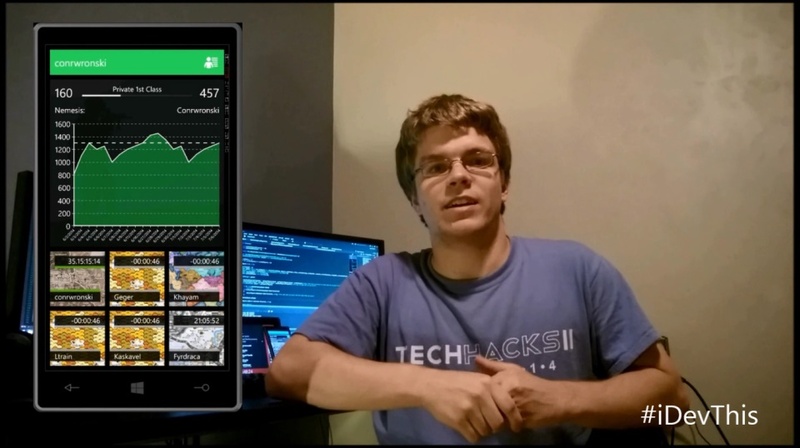 Hello and welcome to this 35-lesson series on building apps for the Windows Phone 8 platform. My name is Bob Tabor, and for the past 11 years I've been creating screen cast training for Microsoft's developer-centric tools and technologies, both on Microsoft's web properties and my own web site, www.LearnVisualStudio.NET. According to the title of this series, this training is for "absolute beginners", and while that is definitely true—we will begin with the very basics of building phone apps—you'll see that we quickly move into utilizing some of the new and advanced features on the Windows Phone 8 operating system. This series is made possible due to the positive response to my original series, Windows Phone 7 Development for Absolute Beginners. We've redesigned this series completely—so if you watched that series, you'll not recognize a single thing in this new series. Before watching this series, you should already be familiar with C#. If you're not, please put this series on the back-burner for a few days and instead watch Channel9's C# Fundamentals for Absolute Beginners. I designed that series with you, the absolute C# novice, in mind. At a minimum, you'll need to get the basics of object oriented programming —classes, properties, methods, visibility modifiers, collections, generic collections, and the like—under your belt before attempting this series. We approached this series of lessons as a tutorial...in other words, the series teaches how to build apps by walking through the steps required to build two full featured apps. Hopefully this approach will help you see how concepts fit together in a real app scenario. I'll also build a number of tiny apps just to illustrate some small concepts in hopes of clarifying fundamental ideas. I'm also going to cover things like the operating system and hardware requirements, the software you'll need to install to get started, getting a developer license, designing an app, submitting to the store, and more. So, hopefully, this is a great starting point for developers new to Windows Phone 8 development. Before I show you the apps we'll build in this series, we need to do a little house keeping. On screen right now is my desktop. There's code loaded into visual studio. The videos are recorded in a high def format, 720p, and are crystal clear. So, if you can't read the text on my screen, that could be because your internet connection can't handle streaming at a high bit rate. Your best option is to use the download link beneath each video. You can download various formats and resolutions based on the target device you want to watch these videos on. Next, to follow along, you'll want to download the assets that are contained in a zip file. I'll make sure the link is available on this page, and every page where the videos are hosted. It will contain assets you'll need to include in your projects as well as the finished versions of the apps so that you can compare the code I've written with the code you're working on. Finally, for the first time on Channel9, I'm including a text and screenshot version of the videos...you'll find it posted below each video...while these are not necessarily a word-by-word transcript of what I say in the videos, they do cover the exact same material and provide the code that I type in so you can copy and paste it into your app. I'm providing this for those that have a hearing disability and for those who don't use English as their primary language. Also, it should be helpful for reference purposes so that you don't have to go back through and re-watch the videos to recall some previously covered idea or technique. Ok, so what are we going to build in this series? While I'm the voice you'll be listening to for the next 11 hours, this effort was actually a collaboration between a number of parties. 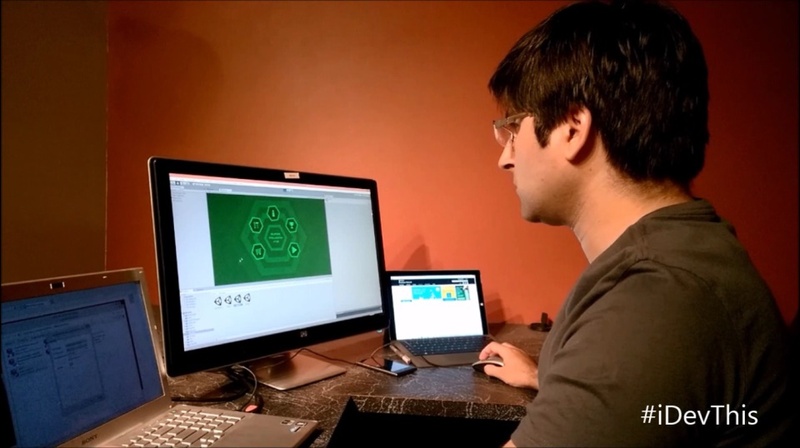 First and foremost, Clint Rutkas of Channel9 is the mastermind behind the two apps we'll be building in this series. I think we literally had 100 email threads running about various nuances of the code, and he was patient and very helpful and really deserves the lion-share of the credit for this series. The Windows Phone Team supported this effort and made it happen...I think that was due in large part to the warm reception the previous version of this series received from you, the loyal Channel9 viewer. So, thank you! They offer one-on-one support, frequent meet-ups, contests with prizes and more to get developers like you and me more engaged and thinking about working together to build this platform. You should register with their site www.dvlup.com to get involved. Great camera—My wife is constantly asking me to send her the pics I take with my phone because her i...her, um, less capable phone...just doesn't even compare, especially in low light situations. NFC—Near Field Communications...exchange data with other NFC phones regardless of platform. Pinning—You can pin anything to the start page...music, websites, apps...and I seek out apps that update the tiles with new information so I don't have to open up the app, for example, to see the weather, or my calendar, or the countdown to my vacation. Wireless charging—Yes, you can buy a case for just about any phone that will do this, but it's built INTO THE PHONE! 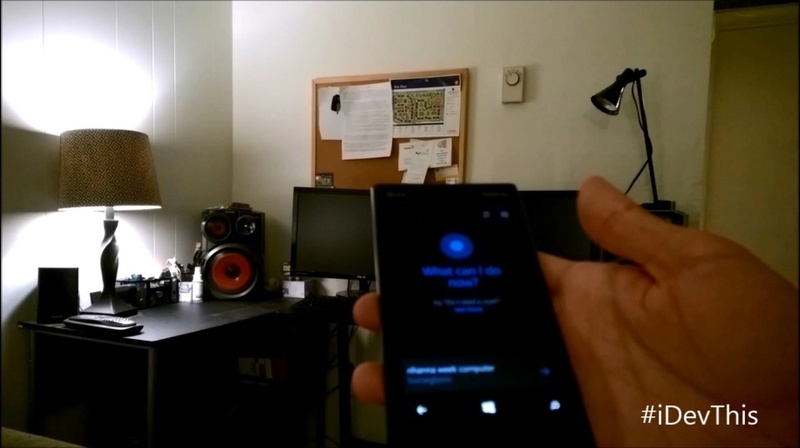 Voice commands—Great for creating OneNote TODO items, or sending a text message while I'm on the road. The other cool thing is that the platform is growing...every time I do a demo of my phone, I convert another user. I've got my family and friends convinced that this is their next phone when their contract comes up for renewal. And I just read an article about the growth of the enterprise market for app builders, which is really exciting. And the best feature of all? At least in my opinion? The fact that I can leverage my existing C#, .NET and Windows Runtime experience into building apps that I can carry around with me. Yes, I suppose if I wanted to create apps for another platform, I could spend weeks and months learning a new language, a new API, etc. Or, I could build apps that try to target all the platforms but ultimately miss key new features unique to the Windows Phone 8 operating system. But this feels natural and easy and so it's fun. So, if you're just getting started with Windows Phone 8 development, I'm sure you'll soon share my excitement. This series is one of the best ways to get up to speed quickly. Promise me this—if you get stuck or something doesn't make sense, you'll ask a question in the comments area at the very bottom of the page. Either Clint or I...or perhaps someone else who's working through the material...will try to help get you unstuck and moving forward. So, let's get started in the next lesson setting up our environment, and then we'll begin writing code immediately. We'll see you in the next lesson. Can you please verify that Part# 30 was uploaded / posted for this series? I may have just overlooked it. Sir, Your way of explanation is excellent.Just want to ask you Is it beneficial to learn this from the company's point of view. ?Will it be helpful for me ? Even though I have never before dabbled with Windows Phone development, I had watched some of your Windows Phone 7 tutorial videos. They were excellent. They made sure a novice would soon come to grips with the development technology and subsequently learn to work with the unique and advanced features of Windows Phone. At the risk of sounding immodest, I would say I am not a .NET newbie. But I think this video tutorial series would be the perfect way for me or for that matter any .NET developer to start learning and commence Windows Phone 8 development. Thanks again. If you are having a moment of indecision about whether or not you should do this... squash that bug and get coding. This will be one of the most favorite decisions you've made in life. I am not kidding, in a few months when you've got a few apps in the store and enjoying the successes and fun of Windows Phone development, you'll come back here and comment. Thank you bob for this series, i've been waiting for it !! Bob You are great !! 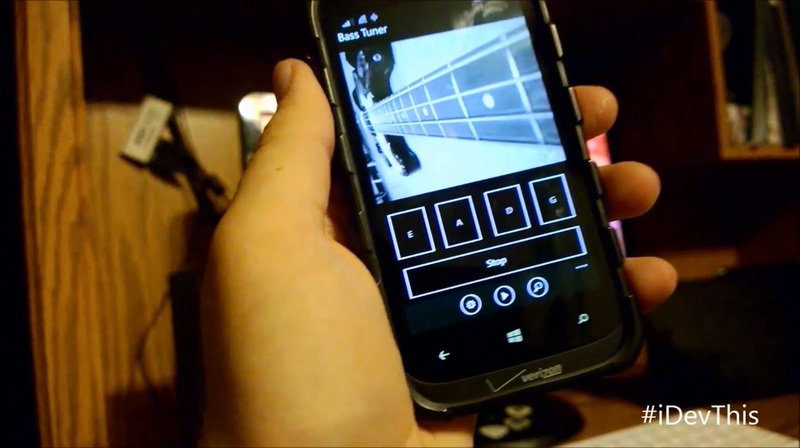 I've already made a couple of apps on WP8, but i know this would take my development to the next level !! This series will help people like me who are looking forward to start learning Windows Phone 8 development a Lot and thanks to bob for making things simple than they are ever going to be. @Richard: It seems to work now. Don't know what happened?? @Rahul Meshram: I suppose it will be beneficial if your company is thinking about deploying Phone 8 for its own internal employees or to a potential audience of Phone 8 users. @Sairaj: Very cool, I hope you enjoy it. @Lancelot: Hehe ... Ok, you've got me convinced! @bitdisaster: Thanks for that. 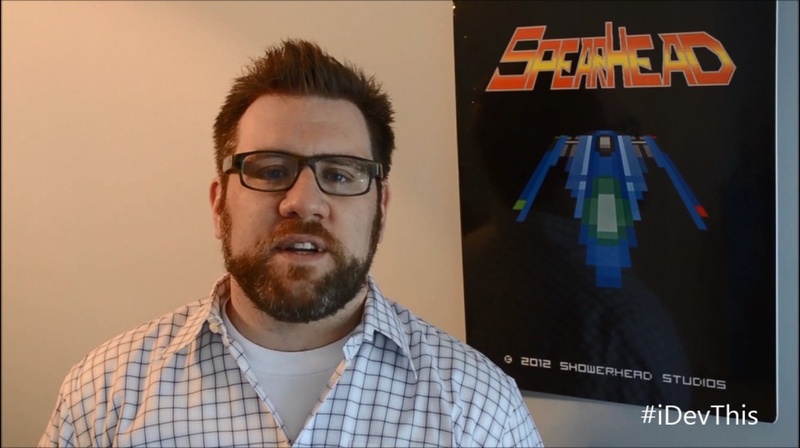 I also talk about how to get more involved with Nokia at the very end of the series. @MuhammadFaizan: Sweet ... point me to your apps! @vamshikrishnanaidu: Thanks for the confidence in advance. Hey Bob, I just finished day 1 of your WP7 series. Do you think its beneficial I finish the WP7 series before doing these ones?? @kamran: That's a hard question to answer. The WP7 series makes copious references to Silverlight which no longer exists (although it's replacement is almost identical ... almost). So, if you can fight through some of the older terminology, you could start with the WP7 series. 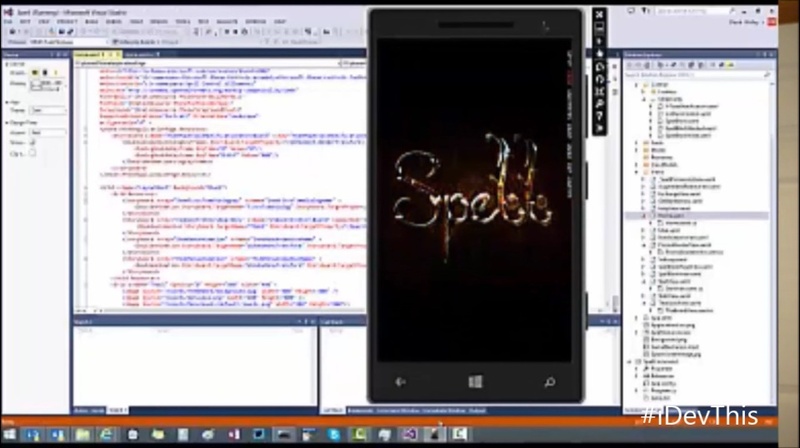 If nothing else, you'll learn C# and Phone concepts at a slower pace. Just know that some of the WP7 concepts no longer apply in WP8. You might prefer, instead, to start with the C# Fundamentals series, then come to this series. Thank you very much Mr @BobTabor for these videos. I have watched the majority of the series, 24 episodes at this time and i am well on my way submitting my first app on the store. They have been a huge success in my eyes, and have helped me tremendously in being able to correctly create, configure and deploy my windows phone application. I then searched for videos, and luckily enough your latest series was uploaded right after the Windows 8.1 Keynote which was the time I starting developing. 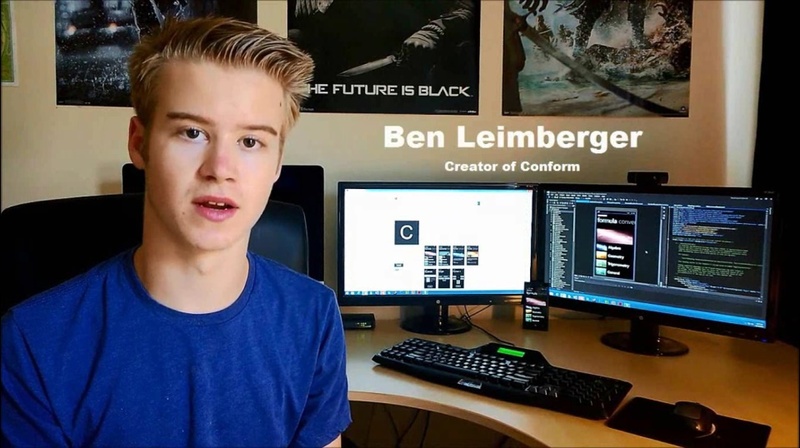 Once I noticed that you coded in C# and XAML I went straight to youtube and learned the basics of C#, XAML came across as I watched your tutorials, luckily C# is similar to Java. I watched your tutorials and took notes while using Visual Studio (something I had never used before). It was great that my old device was able to handle my basic application! I did aim its target to the windows phone 7.1+ market as I thought that it would be available for more users to download, and because the 710s latest and last update is on WP7.8. These tutorials worked wonders and you explanations are very detailed, even as this is aimed at beginners it does a very well job in explaining all the basics to us. I really do hope you continue the tremendous work. Its even more inspiring to see that these videos are free to use and free for anyone to download, which makes it even better for me to view them on the train underground on my journeys to university. @hmy93: Wow, very nice note Haaroon. Good luck to you! If like Bob you live in the Dallas area, make sure to join our local meetup group at http://www.meetup.com/Windows-Phone-App-Development-Group-DFW-Dallas-Texas/. I also cover several states north of Texas as shown below. I will be happy to support your Windows Phone development needs. You have focused on C# as the primary language. But cant we not code in VB? I know that language only, so do I learn C# as well? See how helpful Nokia people are? Thanks @Randall Arnold: for all your help. @BobTabor:Thanks Bob for helping Beginners like me.I started learning Application Development for Windows Phone only 1 Month back started with Windows Phone 7 Tutorial that you posted here and now I feel so confident, I can definitely say that I will develop the Around Me app in VB.Net and also will develop the same in Bing Maps API (Only Because I Own a Lumia 710 which runs on WP 7.8). And if at all if i complete that, It's only because of you. Hi. You can upload english subtitle for this video?. @QuocTruong: The closest I can get is the textual equivalent of the video (with screenshots) which as you can see is posted below the video. Hope that helps! @Vamshi_Krishna_Naidu: Wow, thanks for the really nice email. Good luck ... you can do it! Just finished your C# videos; I'm fairly new to programming (took an intro to C++ and watched some tutorials) -- but the way you present things makes them easy to understand, especially with some of my knowledge from C++. I've wanted to make apps for Windows Phone since they first came out but never actually tried; now I am hoping I will have at least one within the next week or two. Can't wait to finish this series. You and your team are awesome. This is a great tutorial series. I watched all SoundBoard lessons, during the weekend, and they were most valuable. I liked the short length of each lesson, this modular structure helps me a lot to focus on each subject. The additional text bellow of each video is incredibly useful, and I hope this will become a standard for all similar videos at channel9. You provided many interesting links throughout the lessons,I propose you use some kind of URL shortener service in the future. Thanks, and keep these lessons coming, We want more of this!!! @LT37: I'd love to to hear your feedback when you finish. Good luck! @VironPapadopoulos: Thanks for the feedback. Good idea on the URL shortener. Writing a string in file in C# is so easy especially with StramReader and StreamWriter class but these two doesn't work properly in windows phone why???? why you didn't cover basic file access in these series? @mortezasghari: we cover basics like writing and reading files from Isolated storage via APIs like F. StreamWriter and Reader are IMO a bit more advanced topics. We wanted to create applications that an absolute beginner would be able to create and use APIs that that would understandable and straight forward. Love the clean format with no distracting music in the background. Bob your voice and presentation is GREAT. @Bill Dube: Thanks, glad you like the format. Streamlining seems to make everyone happy. @csdnwang: Is this what you're talking about? I just tried to play it in the player and it works. Please let me know if that doesn't work for you and we can investigate. @csdnwang: what makes you think it wasn't? How are you consuming the series? thanks for this amazing WP8 apps development series. There is'nt a way in wich I could use Visual Basic instead of C#? @Esteba: sorry, for this series, we only did C#. It is an extremely large sum of work to do both languages but we'll keep it in mind for next series. Thank you for the tutorials. I am a beginner and I liked the structure of the tutorials. Please add more resources such as NFC application. 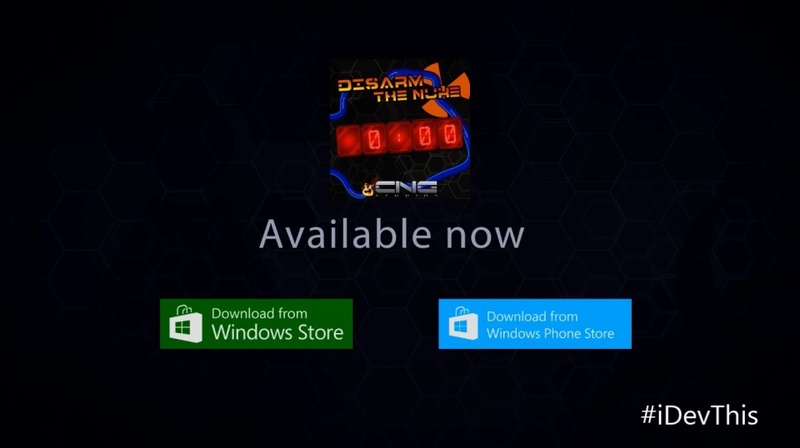 @Macroline: NFC is a bit past absolute beginner, check out https://dev.windowsphone.com for their samples on NFC. 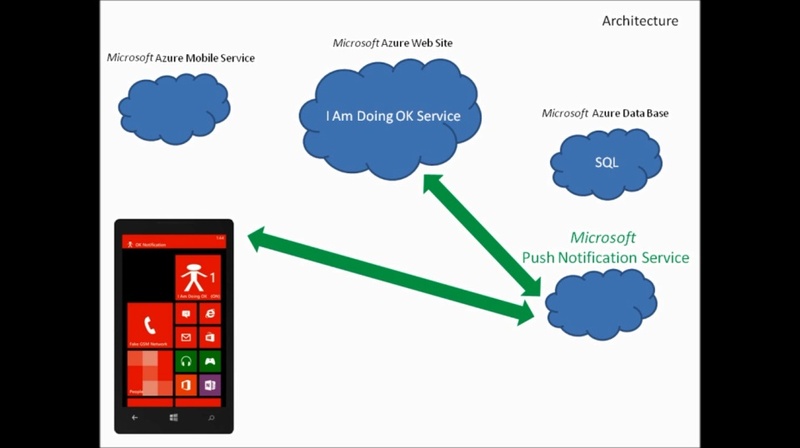 I am impress with your above article & Started to learn windows 8 phone application. I will update you if i am facing the problems. Hope you will help me to learn phone apps. Why? Why free!? There are people out there ready to teach all of this or perhaps even less for about INR 10000. Why you guys doing this for free?!! Great work! @Nikhil Ken: Thank Microsoft, Channel9, Clint and the Phone Team for making this happen. Let them know that you want more. hi, I am a completely beginner at this, and I noticed somebody talked about vb.net as well. So why we choose C#? how these two language different here? can they do exact same thing when programming? I hoped my questions didt mean silly :(. I know a little C++ and VB, and try to do something in VBA programming now. (my job needs a lot of work on excel...). I like wp8, interesting features, very good user experience, etc. I just thought, why　do I　try to do something myself? Then,I'm here...but I　really don't know which one should I choose to move forward. I am really appreciate if you can give me a hint...thank you. @Annie: you can program windows phone with visual basic and c++ on top of c#. It is just a matter of preference what language you like. I like c# and know it very well so for me, that would be my personal preferred language to develop in. well, I believe you're right, just choose the language that I feel most comfortable with..The thing is I didn't do coding for a long time, and it becomes a little bit scary to catch up these things...Anyway, I have decided to follow these series and start with C# ..I‘m pretty sure that these series can teach me a lot about wp8 programming beyond the language I use. so it's not necessary to tangle things like that...the point is, I should start and try NOW...i just realize that ..
.and thanks all that contribute their efforts on this project, it's really cool..
@Clint:oh, I see ...thanks a lot . You are rite that Nokia is really good phone but i want to say some social apps like Watsapp, don't have full features on windows platform. These are features like sending songs and videos on watsapp. These features are present on watsapp on android and ios. Why these app are doing partiality with nokia. Why they are not making full fledged apps for nokia, whereas they make full fledged for other operating systems. Watsapp is one of the most popular social app on smartphones. Why Nokia is not taking any step to improve it. I am huge fan of Microsoft and love to start my career as a .net Developer and Windows Phone Developer. I studied your VB Tutorial from LearnVisualStudio.net and Kind of working on my VB skill. Now I am trying to learn my C# and seeking my time to learn more about ADO.net and How to connect to SQL Server Databases using C# and VB. I am pretty comforatble with syntax as now. Can you help us with Few Video that show us how to develop application which are compatible with WP 7.8 and Windows 7. I cannot afford to buy windows 8 for another 1 year. So I have to start my practice using Win 7. Can you please let me know if the above tutorials works with Win 7 also. Thanks for Anticipation. I love you BOB for nice Videos. @Vikram: I mean no disrespect to the makers of whatsapp however I've never heard of them nor has my informal poll of friends and family. I was merely talking about the features of the phone itself and the Windows Phone 8 operating system. They provide the canvas and the marketplace, it's up to developers to paint on it and sell their wares. @Mohd Sharez: That would be a question for Microsoft. Use the Feedback link at the very bottom of this page. They are the ones who "commission" the content for their sites. Thanks for the nice words and good luck to you! Hey Bob, Love U! Outstanding and i mean really outstanding! Listening you in the video way far from Pakistan i am ur gr8 fan! Really fantastic way to teach and train win apps development. I really appreciate the efforts u made to let us learn these technologies easily. I like your simple, soft and perfect teaching abilities that leave no confusion while watching the video training and instead it keeps boosting my interest to continue learning without taking a break! Need to Install windows 8? I am using windows7. @Anuraag: I highly encourage it but I work for Microsoft. It is 100% up to you what you want to develop. I like developing Windows Phone applications so I do just that I have a friend that loves doing Window Store applications so they build those. I suggest picking what you want to develop and enjoy developing. I have gone through "C# Fundamentals: Development for Absolute Beginners", I love the way you teach the lessons, thanks for the sharing! A little "problem": the download videos' file names are quite unfriedly when compared to the C# ones. It took me quite a while to rename all these file names to the corresponding tiles. @Max Meng: Encoding files is a time consuming task, and so is renaming files. Easier for us to just list "part 1, 2, ...." + the file series for stuff like this for uploading. can u please upload video for how to access phone contacts and msgs. how to give marquee effect on text-block . @Darshan Thakkar: have you tried using Bing, www.stackoverflow.com, or https://dev.windowsphone.com? We are only answering questions that are on the topic point. My computer has VS2013, but is too old (2009) to handle the simulator. I have a Windows Phone, though. Can I bypass the simulator and simply use my phone to develop? is there torrent available for this series videos? @Sumit_Raj: no, the CDN is pretty fast for downloading. but is there any text view or label control for WP?? I have no words, just thanks! This is one of the best series of learning that I ever saw. Great content and pretty simple to understand! Thanks again and great work guys. @wmrodrigues: Wow, thank you for the nice compliment! hey bob can you upload tutorial by using blend for building apps? Hi Bob, Could you please post a single link to download all the 35 videos ? @minhaj18: and @Muhammad Rashid: you can use the RSS feed to do that. i am new to Windows Phone development . i am learning it from this site . what are essential requirements and tools required for development . @Amit: Unfortunately, Windows 8 is a requirement. In fact, there are several requirements. See the next video in this series. when I run a project in windows phone sdk 8 in visual studio 2012 it says an error named Exception from HRESULT:0x89721500 what to do? I just write to say thanks! I've seen the Windows store series a few months ago and now I have my App up and running. Now i'm watching this series to learn how to create the Windows phone version. This are by far the best tutorials i've ever seen. @Ashfaq: Have you googled that exact error number / message on Bing? @Diego: Awesome. What's the name of the app? I'd love to check it out. The name of the App is Homeasy. It's for personal finances. @Diego: Wow, very VERY cool. Hoping you have massive success with this. Looks great! I have problems using the emulator. Failed while creating virtual Ethernet switch. @alpha0721: are you running within a VM? @Clint:No, do I have to run it in a VM? @alpha0721: nope, was seeing one thing that could cause it. Are you on Win8.1 Pro x64? Do you have the Visual Studio 2012 Update 4 installed? i'm on win8.1 enterprise x64 and update 4 is installed already. 2.How & Where browse xap? I haven't taken programming classes in a few years, where I took beginner classes for both Java and C++. @Edward Laier: This would probably be a great topic for a blog post ... I'm asked it often and I just need to sit down and do it. If you google the phrase "C++ vs C#" using Bing.com (of course) you'll find quite a few articles that approach this from a very technical perspective. At a high level, I would say this: whenever you need to build an app quickly and are not concerned with squeezing every ounce of performance out of the computer, then C# is a great choice. If you need to get "close to the metal" and control *everything* in an effort to take control of all the resources on the computer, C++ might be a better choice. It's used for high performance video games where you can take control of memory and the video card, controlling the conversation between a computer and some external machinery via its ports and so on. For most business apps or dynamic data driven websites, C# is where its at. IMHO, of course. as soon as i click the play button, the screen turns black. 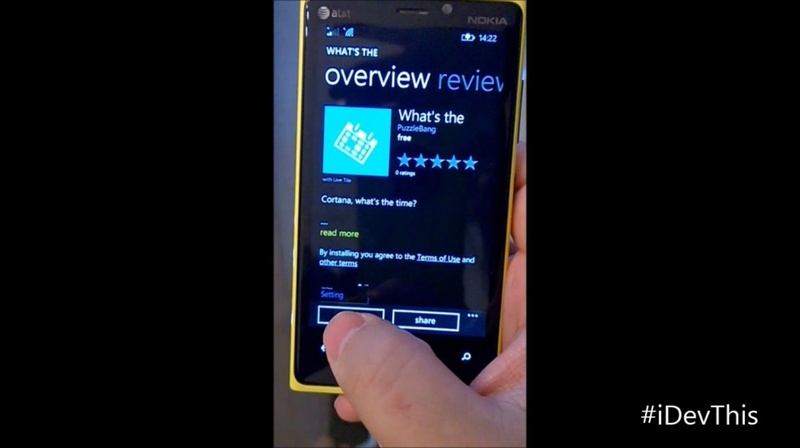 @BobTabor: i don´t know if buy a nokia lumia 920 or 620 to develop app in WP8, what do you recommend me? @robalino: I haven't been keeping up with the phone models over the past year. Sorry, but I'm probably not the best person to ask. 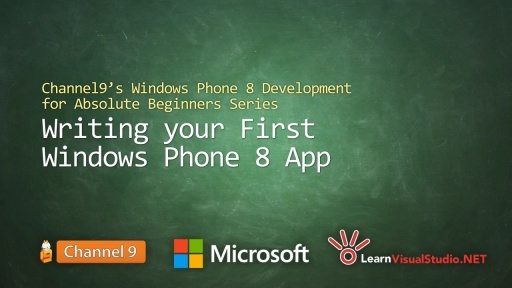 Great series for me to start learning Windows Phone development. Is there any way we can get to the videos on the phone. I know how to iterate through pictures and songs. But there seems to be no way to get videos. However, apps that Nokia releases can read and write videos. Is this a limitation from Microsoft for actual developers? @Bob Tabor: helo bob i want to make my final year project in windows phone platform i decided to make windows phone app on university management system that system will have each and every information about my university and students but your two apps are not realated to this idea can u guide me about other windows phone tutorials or other ideas for projrct plz reply !!!??? @BobTabor:helo bob i want to make my final year project in windows phone platform i decided to make windows phone app on university management system that system will have each and every information about my university and students but your two apps are not realated to this idea can u guide me about other windows phone tutorials or other ideas for projrct plz reply !!!??? Hi, Bob. I would like to know if its the same if I use microsoft visual studio 2013 instead of the microsoft visual studio 2012 express that are shown in your videos. Is it better to use microsoft visual studio 2013? Thanks! This are the best tutorials ever. I'm glad to have found them. Right now I'm with the VB basics. Thanx for your great job. I will follow all your series. @Bob Tabor: when i run a windows phone app program immediately a error message. I can't find the BIOS settings in my system as such images shown in the above link. NOTE: Since, i can't post this issue in Part 2 : Installation sdk video, I am posting here. Hi, Bob. Thanks for answering my previous question. I got another problem. I can't find Hyper-V in my laptop. My laptop brand is Lenovo Y510P. I went online to search for it. They say I can turn it on in BIOS settings, but I can't find it. I searched for it in the "Turn Windows On and Off" section, but there aren't any Hyper-V. Does this mean that my laptop do not have hyper-v? Is there anything I can do to fix this? Please help!!! @Dave: Yes, it has the Windows Phone 8.0 operating system installed on it. This series will work. Good luck! Thanks for the reply. I just had a couple questions, maybe you can help. I download the 2012 sdk for windows phone. My laptop does not support hyper threading, However is it possible to send the app to my phone and test and debug it there without hyper threading? Also can Visual studio 2013 express be used to write windows store apps? I downloaded Visual studio 2013 express for windows. Is that the correct one?
. Sorry I forgot to mention that I am using Windows 8.1 pro and was wondering if that would work with these videos instead of windows 8? I am completely new to programming. I have just started the HTMl5 CSS3 videos. Could you please suggest from where I should I start and how should I progress. Oh and by the way Im on Dreamspark and MVA. Hi, I'm considering following this series, as I want to try out Windows Phone programming, however with the recent announcements of Windows Phone 8.1 SDK and Universal Apps, should I hold it off and wait for a Windows Phone 8.1 series instead? @David Carachi: This series has a lot of really good ideas, thanks to Clint Rutkas. However, I would encourage you to wait about two weeks ... the 8.1 version of this series should be released by then. Fair warning: I definitely toned down the complexity of this series, focusing more on XAML, layout, controls and data access than all the bells and whistles of the phone itself. It is a "complete rewrite" focusing more on "absolute beginners" than this series did. Can we expect any new things on learnvisualstudio.net soon? Man, I just watched the intro video, and skimmed through the pdf, and I can already tell that this series is amazing, and will answer most of the questions I had way back when I first attempted developing with Windows Phone 7 apps and had my first stumbles that prevented any further development attempts by me until now. I'm about to get a Lumia 925 in a couple of days, and am all set with Visual Studio 2013. I'm itching to get started, but since you mentioned you'll be releasing a new version in 8.1, I'll try to be patient and wait it out/skim through more of the pdf. Thanks, for supporting super beginners like me(especially ones like me that enjoy getting in over their heads in progressing while learning development) and keep up the great work! The tutorial said that you need 64 bit windows irrespective whether its pro version or not. I have windows 8.1 64 bit, but i can enable Hyper-V on my pc. it says install a windows 8.1 pro edition. i really wanted to work but now i am getting really disappointed.